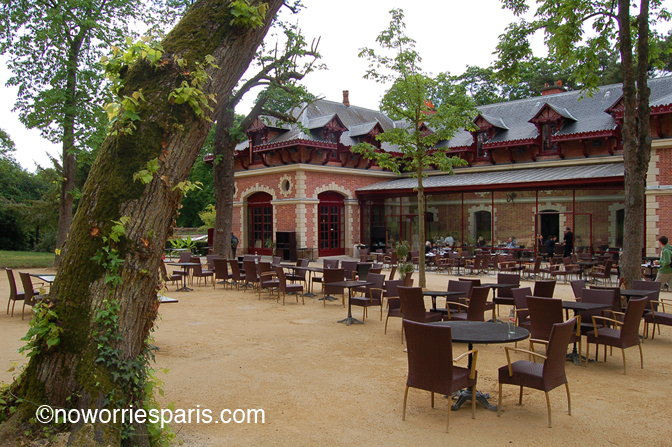 A suggestion for a unique getaway deep in the Bois de Boulogne, the Bagatelle Restaurant. 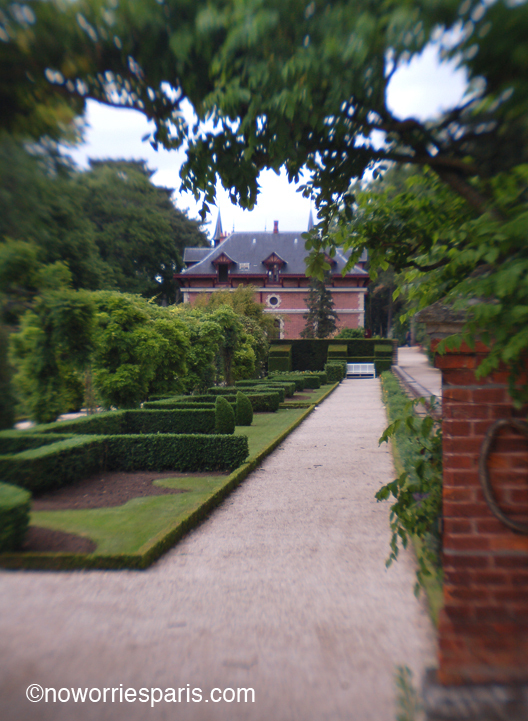 Open year round it is housed in the former stables belonging to the Bagatelle Chateau and surrounded by exquisite gardens filled with roses and exotic plants. A place to wander and drink up history. The only downside is that it’s complicated to reach. After taking all the possible routes, this one seems the most simple and direct: From central Paris, métro line-1 to Porte Maillot. Surface where the signs direct you to the bus. Take bus 244 to the “Bagatele-Pré Catalan” stop. Gather your courage and ask the bus driver to signal you when the stop approaches. If you use the bus Itinéraire on the RATP website to Jardins de Bagatelle you can click on the map for walking directions/map. Depending on your starting point, you could take Bus 43 or Bus 244. Either way, you’d have to walk from the bus stop to the entrance of the Park and locate the restaurant within. Opening hours : 11:30am-2:30pm, 8pm-10pm. The food and service are so-so but the atmosphere makes up for it.